Self care. It's important. Not just for your physical health, but your mental health too. It isn't self-centered, selfish, or inconsiderate to take time out of your busy schedule for yourself. Taking time to relax ensures that you are refreshed and able to handle the challenges that life throws at you. A healthy relationship with yourself is necessary for a happy life, this can be brought about by practicing self-care. But when it comes to putting our good intentions into practice, things can go awry. Busy lives filled with studying, working, blogging, maintaining friendships, cleaning the house etc. etc. mean that self-care can often fall by the wayside. So, I'm going to show you how to make my easy and simple self-care checklist that'll help focus your mind on the importance of self-care and encourage you to take that much needed time out. In response to Jemma's question, I mentioned my self-care checklist, and loads of people seemed interested! @abbeylouisarose @dorkfaceblog I want to see this list! So, without further ado, let's get into the checklist! 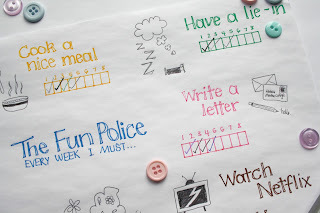 I call it my "Fun Police" list, as I like to imagine the Fun Police turning up and telling me off if I don't take time out to chill out and relax (I'm weird - I know!). I base my list around the eight weeks of my university term, and I aim to complete each self-care activity at least once every week. My list includes taking baths, reading for fun, walking in the gardens, watching Netflix, writing letters, having lie-ins, cooking, and exercising (can you tell which one I fail at the most?). 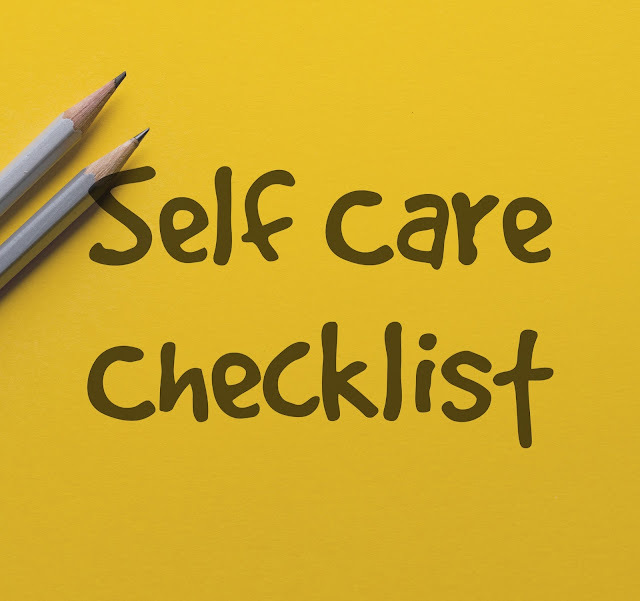 If you want to make a checklist for yourself, you could also include categories such as having a coffee with a friend, using a face-mask, doing yoga, tweeting a motivational message, baking, practicing positive affirmations - anything that works for you! I wrote out my my self-care checklist on a piece of A4 paper which I stick onto the front my wardrobe, but you can do this in your bullet journal or planner if you'd prefer. 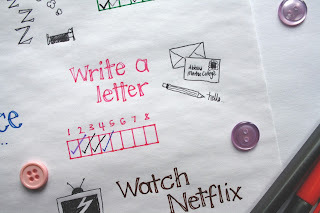 Make your list look super pretty with vibrant colours and little doodles which will really encourage you to tick off all of the boxes! I went for simple doodles executed in biro, but you can be as fancy and creative as you like. It's your list, so make it uniquely you! I really find that this checklist makes me want to take time out of my busy schedule to relax and look after myself, and I believe it can work for you too! 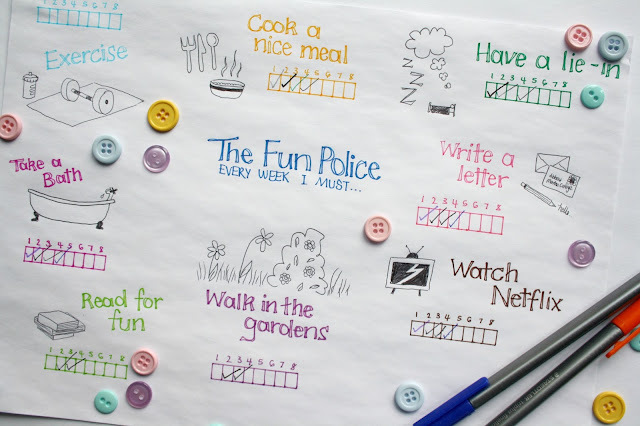 What self-care activities would be on your checklist? Let me know in the comments!